Kutch work embroidery fascinates me. Sometimes it is a motif, or a woven design, or a border. The differences in working each piece is quite absorbing. This is the reason, every now and then, a kutchwork project keeps showing on my posts. 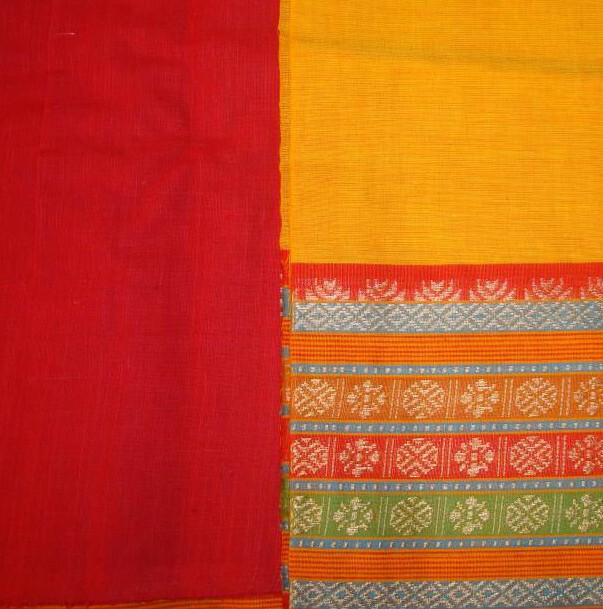 This time, an idea of a small kutchwork design worked in different colours came to mind. 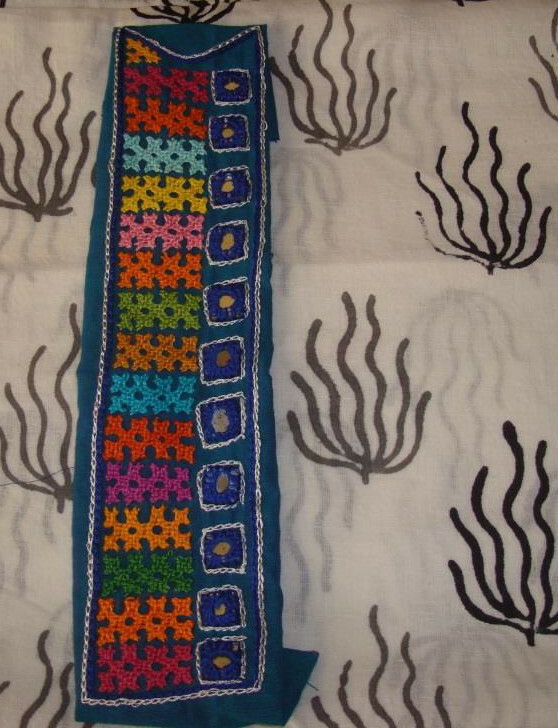 This design can be worked as woven kutch work too. The pattern, as a usual practice the mirrors are also incorporated in this pattern. After working a corner design, started with the repeating design. The working was faster than I expected. The thread consumption for each piece was also very less. 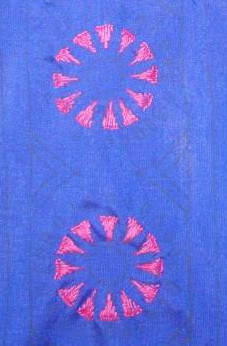 This particular kutchwork motif can be also be weaved, instead of interlacing. The interlacing leaves space in between the interlaced squares. 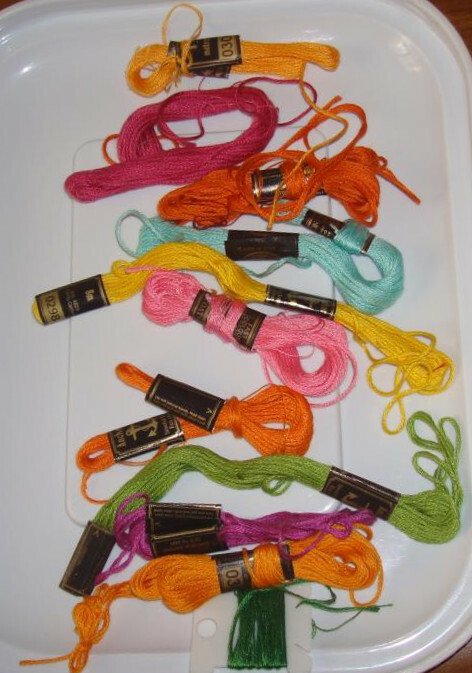 The yellow and orange threads were alternated with a touch of pink, green and blue in between them. The colourful kutchwork embroidery. 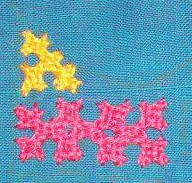 The outline in chain stitch with blue thread. The chain stitches in white are worked after this. The small square mirrors worked with blue thread. Three yoke patterns were engineered one after another a while ago. This is the first piece. After completing this embroidery, the tunic for which this was intended, a blue cotton fabric, was not appealing enough. So yesterday, another tunic fabric was picked for this piece. This is ready to go to the tailor.